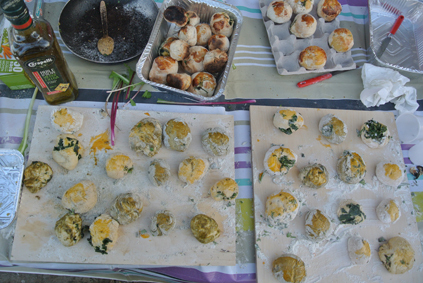 Last September, the Agrocite hosted a bread making session. 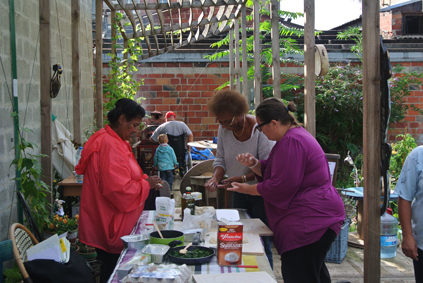 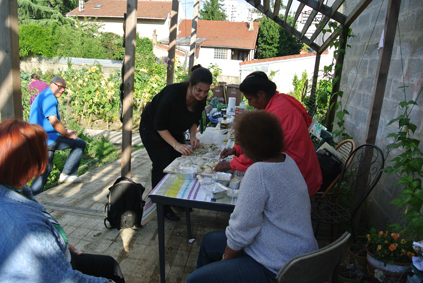 A group of local residents and Daniela Dossi made little breads using the overproduction of herbs of the garden to give their mixture a unique taste. 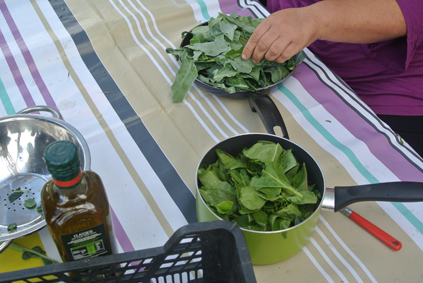 Basilica, parsley, mint, rosemary and many other herbs and spices were celebrated that day ! 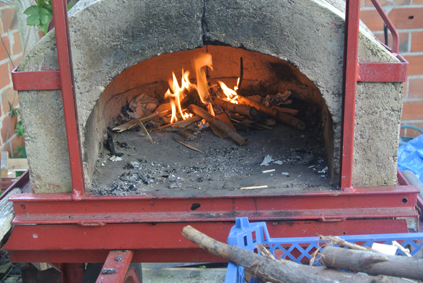 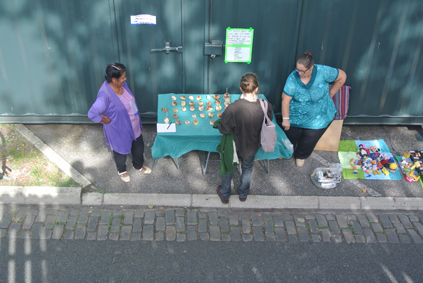 Then, the little breads were cooked using the wood oven lent by the community garden “le jardin d’Audra” in Colombes. 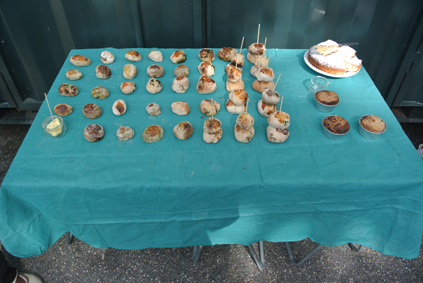 The outcomes were more than satisfactory, and the group decided to sell their breads on the occasion of the flea market “ Vide Grenier” organized the following day at Recyclab.